TimePunch has been designed for people who must keep track of the time they work. TimePunch notably provides for the preparation of time sheets. Times can be simply entered and assigned to different projects. Additionally TimePunch offers a range of essential features to help you save time. Work, journey, illness and vacation / holiday times can easily entered and managed. Supervision of working time at the PC, including analysis of break times. 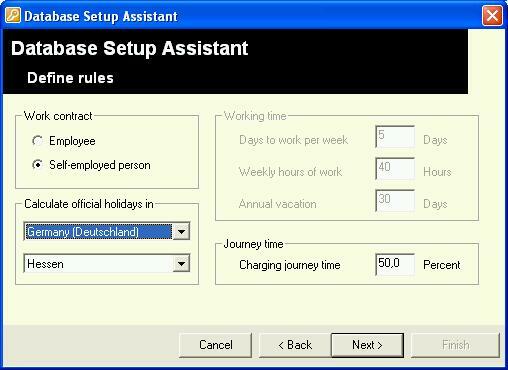 Automatic holiday calculation for USA, Germany, Austria and Switzerland. Export to Microsoft Excel, HTML, Access and CSV. Fast project switching from the Tray icon.